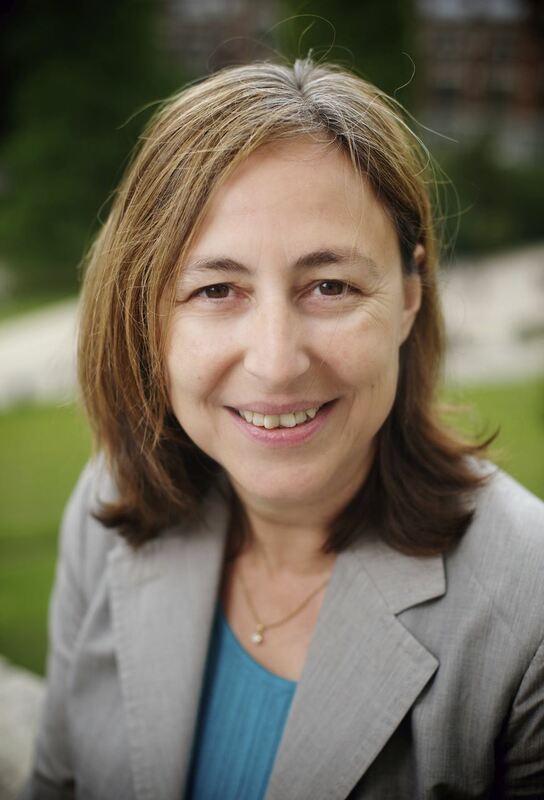 Viviane de Beaufort, professor at ESSEC Business School, is the founder of an ambitious educational programme, WOMEN be European BOARD Ready, at the French Management School ESSEC. In this interview she talks about the programme, her career and diversity in business. What was the proudest moment of your career life? It is a very difficult question, because I do a lot of different and very exciting things. However I can think of two very special moments. One of them was in 2004, when the European Parliament chose to add article 12 (optional arrangements) to the directive on takeover bids, after a long and patient work of expert and strategic alliances to demonstrate it was (and it is) ridiculous to implement a sole model of company law faced with diverse cultures of governance in Member States. The second one is clearly the first promotion of my women programmes, both the "Entrepreneurship Since 2004” and the new one, "Women be European Board Ready". What inspired you to create the "Women be European Board Ready" programme? I was inspired by the debate on quotas taking place all over Europe and particularly in France. many executive and non-executive boards include a sufficient proportion of women, ensuring adequate profiles for each company, depending on its size, sector and strategy to improve efficiency. A legal tool is one thing, a good one indeed! The second one is to create tools to provide women with sufficient opportunities to be trained, to be visible... A dedicated programme is one way of achieving that! What steps need to be taken to improve diversity in business? If diversity at the level of boards could play a role model, we need to expand it at each level (management, middle-management), which means that many companies have to start thinking in a different manner, organise work in a different way, change their human resources mechanisms (age of high-po, training, mentoring, coaching), and so on. Should women change anything in their working style to reach top leadership levels? 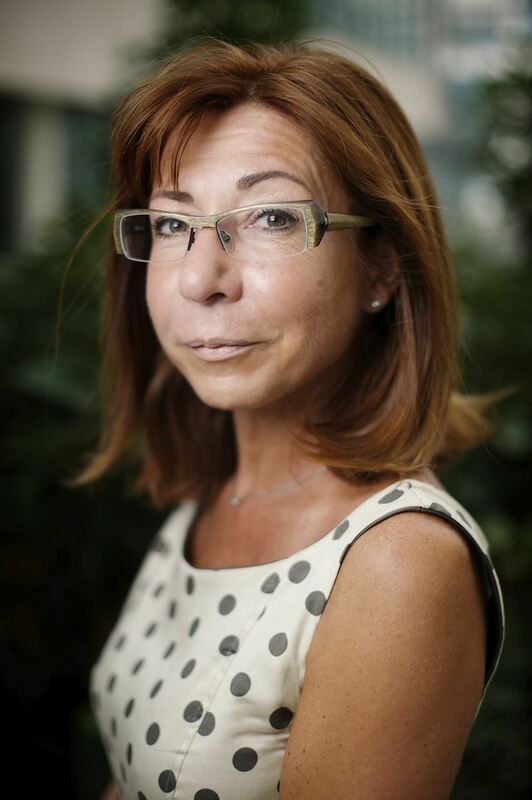 WIL Vice-president Pervenche Berès is Chairwoman of the Committee on Employment and Social Affairs of the European Parliament. Appointed as a rapporteur of the EP Special Committee on the Economic, Financial and Social Crisis, Pervenche led the efforts of the EP to establish the origins of the crisis and recommend solutions to avoid its repetition. Her report was adopted by the EP in July 2011. Some of its conclusions are highlighted in our interview with Pervenche. Briefly, what does the report recommend so as to alleviate the effects of the financial, economic and social crisis? The viability of the eurozone cannot be ensured by implementing all over Europe severe austerity programs which will never meet the objectives of a reduction of deficit and debt levels. It is important to conciliate fiscal responsibility and room of manoeuvre for long term investments in areas such as education, innovation, transport or energy. This would require a shift towards the European Union by ensuring an effective economic, social and fiscal convergence and a significant raise of the EU budget. A better surveillance and control of capital flows is also required in order to ensure an optimal allocation of capital in favor of the real economy and the fulfillment of legitimate macroeconomic objectives. On the political side, the current crisis has demonstrated the limits of intergovernmentalism and underlined the need for more democracy and legitimacy in the making process of the solutions designed to safeguard the viability of the eurozone and the Union as such: therefore, with this report, the European Parliament has paved the way for a forward looking solution with the need to be fully included at all relevant levels of the political decision-making process. How would the public debt in Europe be dealt with, following the adoption of the report? speculative attacks Greece and Portugal have suffered must be taken: it is time for the European Union to demonstrate the will to regulate malpractices of financial actors and to ban, among others, naked short selling. Which recommendations are made in order to build a European energy community? Special Crisis Committee's final report clearly states that a European energy community should be considered as one of the key political projects for the realization of the objectives included in the EU 2020 strategy which paves the way of a sustainable and social growth model. This European Energy Community would facilitate the transition of our economies towards renewable energies, increase the energy independence of the Union by giving it more power in the negotiations with third countries and will ensure the provision of universal services at affordable prices. The report recommends increasing investment including through public§private partnership in research and development, interconnection of grids. We also propose that special attention should be devoted to energy efficiency. What public expenditure would the revenues from the tax in financial transaction cover? The European Parliament supported in the interim report adopted in October 2010 the introduction of a financial transaction tax at the European level. Such a tax on all financial transactions with a small tax rate of 0,05% would represent a significant amount of 200 billion Euros per year for the Union and its Member States. These additional financial resources could in serve to finance the key priorities included in the EU 2020 strategy and promote European public goods in areas such as energy efficiency and smart grid development: financial needs to be invested next decade into smart Transeuropean networks amount already to € 450 billion...Furthermore, an FTT would also represent an appropriate tool for improving the functioning of financial markets by tackling high risky speculative transactions. Can Member States be persuaded to apply these recommendations, given the growing number of eurosceptics? The significant increase of eurosceptics - but also the revival of nationalist movements which consider themselves as europhobics - is linked to the severe economic and social consequences of the financial crisis, whose length has to be seen as a lack of political will demonstrated during the last years by European leaders. The sovereign debt crisis has clearly illustrated the "too late, too little" adopted during the last months by the German Chancellor Angela Merkel and the French President Nicolas Sarkozy. The current situation demonstrates the limits of intergovernmentalism, this is the reason why we plaid for a democratic Union with the full inclusion of the European Parliament in the discussions around the future of the eurozone and the economic governance. The Union should also speak with one voice through a single representative in international institutions in the World Bank or the IMF. Finally, it is essential for the future of the Eurozone and the Union as a whole to tackle macroeconomic imbalances by improving the integration of the European Union through the deepening of economic, social, fiscal and tax convergence. Regarding these challenges, the risk of eurosceptism cannot be ignored but the politics must say the truth: our choice is between more integration or drift apart. The appointment of a female Executive Director brings about a wind of change both for the company and the industry. 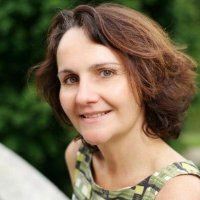 Part of a group of happy-few women with an engineering diploma, Delphine Ernotte Cunci has been with the group for the past twenty years, where she moved from research and development to sales and commerce, gained management experience in the field as director of a network of agencies, before starting her preparation for executive levels as head of the communication department, then sales director. 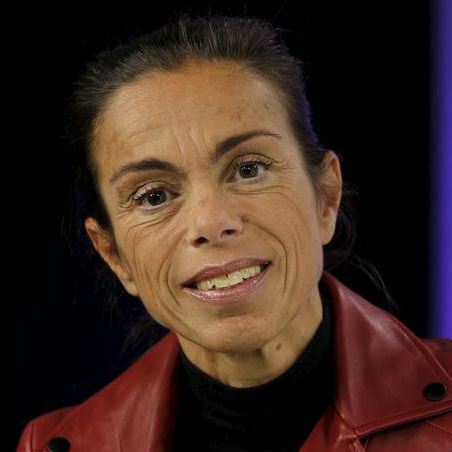 She was appointed number two this year by Stéphane Richard, CEO France Telecom Orange. The interview below revolves around the company’s strategy and its executive committee’s ambitious plans to make more room for women. What change would you like to bring about in the company? The social, business and economic crisis with which we are being faced for two years left room for re-thinking our management systems. A servicing enterprise needs to adapt its solutions to several customer groups, particularly in the telecom sector where trends are fast replacing one another. In turn, achieving a good level of customization requires more flexible internal management systems. We have to delegate more decision making power from headquarters, and decentralize it to staff in the field. What specific commitments have been made by the new executive team? Apart from planned investments to accelerate international development and in leading edge networks, we will channel our efforts towards this new vision of human resources for the men and women of Orange, so that each employee can feel the impact of his or her work on the overall business operations. Orange set up a quota of 35% of female representation at all levels of management. What is the current status? We will deploy resources top-down to reach a more gender-mixed structure. While women make up 35% of our employees overall, we want to reach this proportion at every management level, in all departments. For instance, 20% of our executive positions, of which there are 300, are filled by women. This percentage is already high for a telecom company; however we are determined to push it to 35% by 2015. This is why we’ve set up a Diversity Committee at executive level, which comes up with proposed solutions to improve recruitment policies, give equal access to training and career orientation, in addition to developing gender-friendly management practices. How will this be achieved more exactly? First, we need to make sure that there is a gender mix beginning with the recruitment process. This is particularly critical for technical jobs, as we are competing with the whole industry to attract a scarce number of female graduates of technical studies. In that aim, we’ve set up partnerships with engineering schools so as to promote our career opportunities to young women, but also to work together towards bringing more girls into science classes. At this point, we can already notice a sort of bias against jobs with generally high responsibilities, driven by the fear of not being able to balance their professional and personal life. Our duty is to break these stereotypes and give a clearer picture of the diverse daily tasks in a telecom company. Second, management practices need to be adapted to different work styles. We are aware that women provide most of the family care in our society, a fact which compels them to have a different schedule than most men. Technology today enables us to adapt our working schedule to our other responsibilities; yet its usage is determined by the practices of each manager who can either put pressure on employees by setting up late calls/meetings, or set rules of work that are adapted to them. Should women change anything in their working style so as to reach top leadership levels? Every time Stéphane Richard pays a visit in the field, he himself is doing a headhunter’s work so as to uncover talented and competent women who usually don’t get noticed. When proposing a new assignment, most women don’t consider themselves capable enough to assume it, whereas men seem much more comfortable with accepting it. This status quo leads to increasing gender gaps at higher levels in the hierarchy. However, instead of demanding women to change their work style, which would involve an alteration of the entire societal construction, a more realistic solution is to ask managers to find those women with a great leadership potential and give them confidence in their abilities. 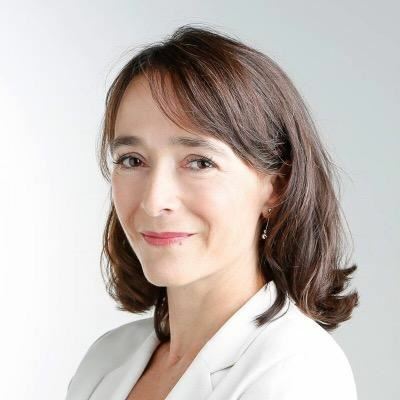 Marie-Thérèse has been Head of Government Relations at SAP AG, the market leader in enterprise application software, since 2007. She started her career in 1990 serving for the International Labour Organization and moved later on in the private sector, serving as Head of Microsoft Representation at EU level from 1996 to 2005. Marie-Thérèse is also part of the WIL Board of Directors. You have been working in the ICT for several years. Has the industry changed its perception of women’s role in the workplace during this period? In my perspective, ICT has always been an industry with a very cooperative working environment. What matters are creativity, innovation and efficiency – and studies show that these are better achieved in heterogeneous teams, with women and men from different cultural backgrounds working together. However, what has changed in the last years is the awareness that we need to make a stronger effort to get female students interested in MINT-Mathematics, Informatics, Natural Sciences and Technology - subjects. Through this we ensure also in the future that women strongly contribute to the decision-making in the ICT industry. What is SAP AG doing to promote women in the ICT sector? Are there any partnerships set up between the company and other industry players in this sense? We joined several international organizations to promote better career development for women in information technology industry overall. The networking opportunities offered by these organizations allow us to identify and attract more qualified female recruits for SAP management positions. For example, we are a member of the International Taskforce on Women and Information and Communication Technologies (ICT), an organization sponsored by the United Nations-UNESCO. Its program strives to develop more women as ICT leaders and creators. We also signed the European Code of Best Practices for Women and ICT and began serving as a national contact point of the European Centre for Women in Technology (ECWT). In Germany we joined the Charta of Diversity and committed ourselves to provide a work environment free of prejudice and discrimination. As well as that, SAP is partner of the National Pact for Women in MINT Careers - “Go MINT!” and is organizing a yearly Girls Day. How about the internal processes or programs? How do they encourage women’s presence in the workplace? At SAP, we nurture and support an environment that values differences in culture, race, ethnicity, age, gender, sexual orientation, gender identity or expression, and physical or mental ability. In regards to gender, our goal is to grow the ratio of women to men to reflect the talent pool in our industry and to raise the ratio of women and men in leadership positions to the same measurement. We offer coaching and mentoring programs, basic gender awareness workshops (Women@SAP, Men@SAP) and advanced training (self-PR and visibility, work-life-balance). To support women in business and the cooperation between men and women, employees have set up the Business Women’s Network @ SAP which gives all our employees the chance to exchange experience and knowledge. Only 3.2 percent of women hold management board positions at Germany’s 200 biggest companies, according to a Jan. 18 study by the Berlin-based DIW economic institute. What solutions would you envisage for more women to take leadership positions in Germany? An active support of all female managers is more effective than any quota. No company can effort to abandon highly qualified and committed employees or to disregard their potential. What we have to do is to enhance the general working conditions. It has to be possible for every employee in specific periods of life such as parenting or caring for older family members to take time outs from work or to work part time. We have to be aware of the fact that the different perspectives of men and women help to make better decisions. Diversity is valuable and is actively promoted by SAP. What attributions would a WIL German-based chapter have, in your opinion? In my opinion, a WIL German-based chapter should promote diversity in the widest sense of the word. I would also envision WIL as a platform for best-practice-sharing and as a forum to exchange experience. Agnès Saal is the Director of Pompidou Center, a maverick architectural building which hosts the second biggest collection of contemporary art in the world. Serving its core mission to spread knowledge about all creative works from the 20th century and those heralding the third millennium, the Pompidou Center holds approximately thirty exhibitions and international events annually, including cinema screenings, concerts and conferences, drawing a wide range of audiences. 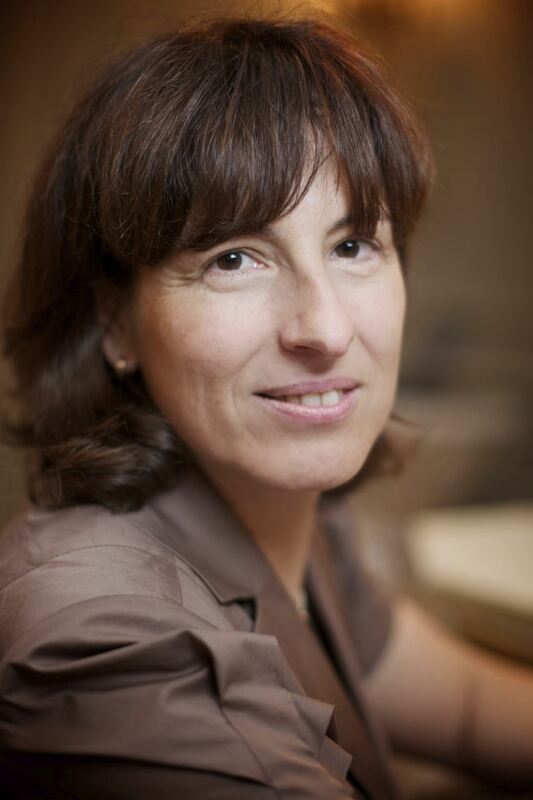 A graduate of the École Nationale d'Administration, a prestigious graduate school preparing French high civil servants, Agnès held previously other high responsibilities in the public administration, serving as Director of the French National Public Library (BNF). How does the Pompidou Center distinguish itself in the world of modern art? The Pompidou Center’s goal is to spread art and culture to the public at large in a non-intimidating setting, as can be seen from its unique “inside out” construction, its welcoming open-space architecture and easy-to-access interior spaces dedicated to different audiences, which contribute to breaking down the barriers surrounding modern art. For instance, we’ve just launched Studio 13/16, an area of over 250 sq. m designed exclusively for teenagers and meant to bring them into direct contact with artists and trigger their curiosity at an age in life when they are keen to experiment and make discoveries on their own. Another extraordinary concept born with the Pompidou Center is the Institute for Acoustic/Music Research and Coordination, one of the world’s largest public research centers dedicated to both musical expression and scientific research. It is a residence for international composers and artists who use cutting edge scientific and technological innovations to express themselves through music and where research on acoustics, musicology, computer science etc. is carried out in partnership with several universities and international companies. What stands does the Center take in relation to societal issues? Among the key features of our time are the new ways in which people tend to move across continents, inventing new geographies and blurring barriers between disciplines or careers. This is nowhere more evident than in the art world where limits fade away – with young artists moving through artistic disciplines more freely than ever before, giving birth to extremely original works of art. We believe it is our duty to open up our space to artists from all over the world. There are artists in emerging regions which provide the world with an extraordinary richness of forms of expressions such as contemporary Chinese, African or Latin American artists. Then, at a European level, throughout Eastern Europe, very diverse artistic movements are vibrating, a fact we acknowledged through one of our recent contemporary exhibitions, “Les promesses du passé” (Promises of the past). How does the Pompidou Center collaborate with other modern art centers? We have put in place very dynamic partnerships with other cultural centers in Germany, the Netherlands, the United Kingdom etc. The recently opened exhibition of Piet Mondrian’s works is a perfect example. This ambitious retrospective is the first in France on such a scale in spite of the artist’s personal history in Paris. It was clearly made possible thanks to our very privileged partnership with the Gemeente Museum in the Hague. How about the barriers of the digital world? What is the Center’s stance towards the digitization of art works? In 2011, we will be launching our own digitization project, which will cover the entire cultural content of the Pompidou Center, classified and rendered accessible in a smart new way through user-friendly indexes and not simply provided in bulk. It will be an impressive online library, with an innovative semantic architecture, which will enable visitors to carry out exhaustive research and get access to the material they are interested in, as well as to all the related materials. What is the message you wanted to send through the exhibition “Elles@Centre Pompidou”, presenting the Center’s collection of works by female artists? The idea of giving over the space to women artists is unique in the art world and also corresponded to the expression of our commitment to making a place for women in arts. Through our acquisition policies, we are very careful to ensure that women artists receive the recognition they deserve. The exhibited women artists have a specific vision of the world; their works of art are extremely original and profoundly rich in the messages they convey. The fact that over 2 million visitors so far have visited “Elles @ Centre Pompidou” since its opening in May 2009 shows that the public was eager to discover those artists. 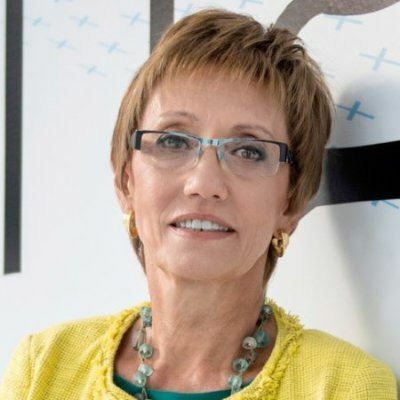 In September 2010, Eugenia became the only woman holding the position of managing director among the top European business schools and one of only four women holding such a position worldwide upon her appointment. An incredible success! Eugenia Bieto shared with us ESADE’s plans to continue its pursuit of excellence and to support women’s empowerment. ESADE is rated in various prestigious rankings among the 50 best business schools worldwide and the top choice in Europe. What will you aim at during your term? We have three priorities for the next 4 years. First, we want to more strongly respond to the demands of a globalized world, by attracting the best students and professors from different regions of the world. We thus plan to augment scholarship funds so that talented people who do not have enough financial resources can take part in our academic programs. Second, we want to increase our research & development activities so as to foster innovation worldwide. Viewing the global context, we are aware that we need to bring solutions for encouraging positive behaviors, such as entrepreneurship, innovation or corporate social responsibility. Third, we aim at building a prominent research group to create relevant knowledge on corporate social responsibility (CSR) so as to enrich the societal debate and to induce our students to become responsible leaders. The respect of certain values in education, business, and law... has been a permanent concern for us, since ESADE was inaugurated by the Network of Jesuit Business Schools in 1958. Our role as a top business school is to ensure that leaders are prepared to take responsible decisions and generate economic value. In general, women make up an equal proportion of undergraduate business graduates, but these numbers drop in MBA education. How will you increase women’s representation in MBA classes? This is general trend that needs to be changed. Women make up 50% of our undergraduate students, but only 31% of our MBA students. Moreover, we count only 10% women among those attending programs designed for executive managers. This type of gender inequity is mostly determined by the societal context, however we scrutinize it carefully. Our approach is to integrate women in the current business scenario. Apart from offering scholarships to female students, our courses and working groups are organized so as to accustom future managers to working in teams where women are present. We make sure that there is at least one woman present in every working group so that men, who tend to be in the majority at top levels, can learn how to work with women and dispel gender stereotypes at early career stages. Several distinguished business schools have tailored MBA programs for women executives, such as Stanford Graduate School of Business, IMD or Kellogg School of Management. What is your opinion on such programs? MBA programs for women may be a very good option to increase their presence in executive roles; however ESADE will not apply such a strategy for the moment. We prefer mixed classes and ensuring that women are present in working groups, in research groups so that we can build a custom of working with women. With this in mind, we also made other changes in our programs to ensure that women improve certain skills and abilities that they may lack, but which will be essential to breaking the glass ceiling. For instance, we asked general managers from different organizations to hold courses at ESADE to give our students the possibility of networking with experienced managers. We are looking to generate situations to which women will have to adjust in their professional lives, so that they can gain the needed skills while doing their studies. In recent months, policy makers opened discussion on applying ‘quotas’ to solve the gender imbalance. Do you think this approach can succeed? Quota policies do not allow organizations to attract the most talented people. At the same time, they put pressure on women who work in quota-driven environments to constantly have to justify themselves. Women need to learn how to be competitive and they also need the adequate tools to compete. If we look at Spain, the number of women managers has been increasing these last years. At the political level, the current Spanish government holds perfect gender parity. The reason lies mostly in a change of paradigm, not in the policy-driven changes as the country does not currently have frameworks supporting a work/life balance for women, such as a kindergarten system. This means that the current generation of active people does not perceive women's presence in structures of power as exceptional, that women are becoming more competitive and that women are able to sell themselves better than a few decades ago. There should be policies encouraging gender equity, but not imposing it as an obligation. How is the application of quota policies in the academic world perceived by ESADE? The world of academics is like a market where top schools compete to attract the best professors in the world. Therefore, the first interest is to attract the best professors and not necessarily to establish gender parity. In ESADE, currently 27% of its professors are women. However, if we look at the last 5 years, we can see that among young professors having joined the ranks, the percentages are close to parity. This means that things have evolved positively these past years and that eventually women will be fairly represented in the academic world and in leadership positions within the years to come. The European Commission has placed sustainable growth at the core of its strategy for 2020. This strategy must foster ways to cut green house gas by 20%, while heavily supporting R&D in a more and more competitive global market. While targets seem extremely challenging, it is worth acknowledging that more women are sharing decision-making powers in key sectors for the future. 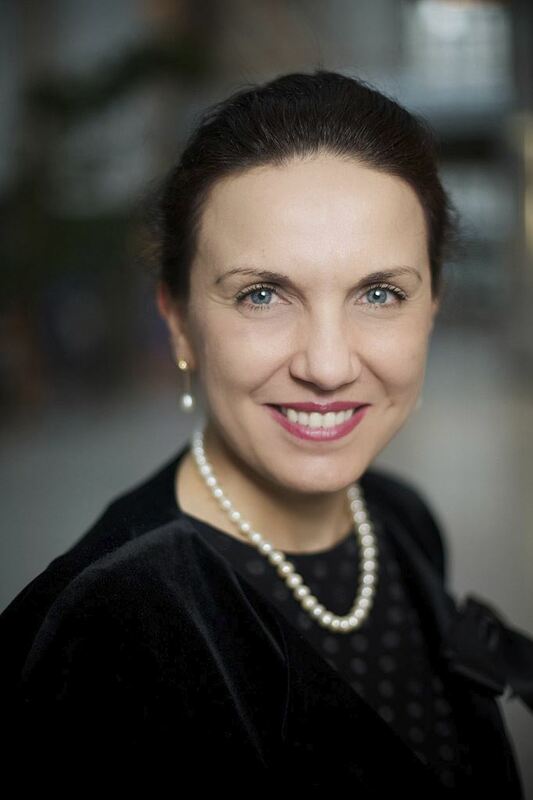 Recently appointed Director for European and International Carbon Markets in the newly set up Directorate-General for Climate Action of the European Commission, WIL member Mary-Veronica Tovšak-Pleterski plays a key role in developing the revised European Emissions Trading Scheme (EU ETS). This is the most complex emissions trading scheme world-wide, under which major industrial emitters of carbon dioxide in the EU must monitor and annually report their CO2 emissions, and which enables companies that exceed individual CO2 emissions targets to buy allowances from 'greener' ones to help reach the EU's targets under the Kyoto Protocol. What will be the top priorities of the Directorate for European and International Carbon Markets? Our role will be to ensure that the industries are making good command of the European Union Emission Trading Scheme (EU ETS). It is the first international emission trading scheme in the world, operating since 2005, when around 10,000 large industrial plants were required to buy and sell permits to release GHG in the atmosphere. However, there is still more to be done so that all actors share the costs of reducing the impact on the environment. In 2008 the European Parliament and the Council adopted the legislation to revise the EU ETS, so as to become a more transparent, equitable and accessible system, including for SMEs covered by the EU ETS and for small emitters. My team is in charge to bring forward measures that are needed to implement the adopted changes and ensure that the renewed ETS will be in place and operational by January 2013. How important is it for DG Climate Action to have citizens who understand how ETS works? What matters is to raise the citizens’ awareness regarding their responsibilities for the future generations. Today the global temperature is already around 0.8 °C higher as compared to pre-industrial times. Making the EU ETS easy to understand is not an evident task due to its technicalities. However, we are aware that it needs to be comprehensive enough, not only for businesses, but also for individual citizens, if we want it to gain eligibility. What will be the position of your Directorate regarding boosting the number of jobs in new sectors? Will women’s participation be benchmarked? De-carbonizing the EU economy is an opportunity that needs to be seized. An important aspect of the EU ETS is to encourage innovation and the development of green technologies. Europe currently counts 3,4millions employees in the green industries, trabslating into 2,2% of Europe’s GDP. Each direct job in Europe's green industries creates indirectly between 1,3 - 1,9 jobs. If we continue the path we started of decoupling economic growth from GHG emissions growth, then these numbers will certainly boost, including the rate of women’s participation. Will investments in green innovation be continued as long as public spending is being cut? The economic recession has sharpened realities. However, revised EU ETS legislation implements mechanisms such as supporting the construction of carbon capture and storage demonstration plants that encourage investments in innovation from the business side. Besides, businesses will benefit from the increasing demand for low carbon products, and eventually realize that reducing their environmental footprint makes not only social sense, but also business sense. In Copenhagen, only 29 Heads of State and Government signed the "Copenhagen Accord". What actions will the EU need to take so as all parties reach an international climate agreement in Cancun, Mexico in December 2010? The EU obviously hoped for a global agreement in Copenhagen last year which was not possible to reach. Although Copenhagen Accord represents a certain progress, more efforts are required in order to be able reach the strong, comprehensive and legally binding global deal that remains our objective. Europe has legally binding commitments to reduce GHG emissions in place and we expect our international partners to face their responsibilities to prevent reaching the dangerous levels of GHG emissions that threaten to increase global warming. Dorothee is Associate General Counsel in Microsoft and WIL vice-president representing Microsoft. She started her career as a prosecutor specializing in white-collar crime at the Munich II Public Prosecutor’s Office in 1989. 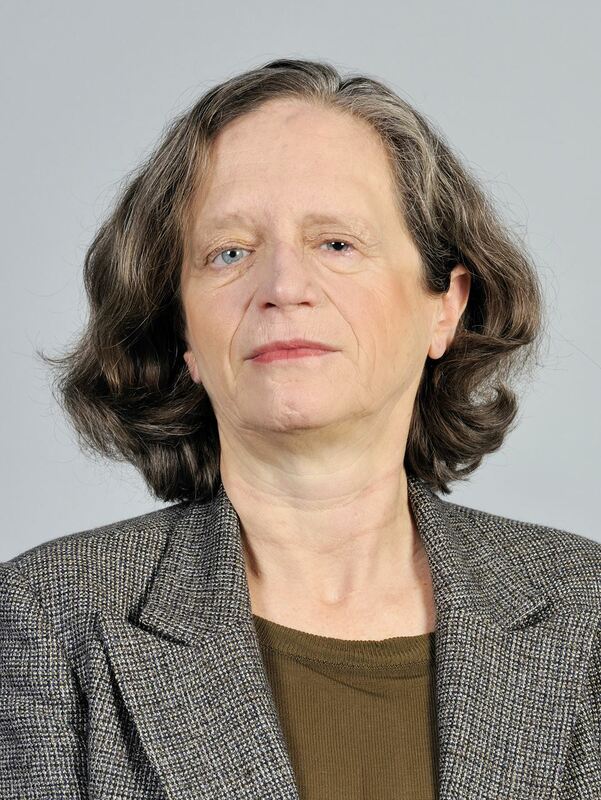 Her career took a different path in 1991 when she became member of the cabinet of the then European Commissioner for Budget, Peter Schmidhuber, and afterwards of Commissioner for market and internal affairs, Martin Bangemann. She entered the private sector in 1997, working for the KirchGroup and for Beta research, a software development company. In 2003, she joined Microsoft Germany as a Director of Legal and Corporate Affairs. Currently, she is responsible for legal and regulatory matters at Microsoft for major markets in Western Europe. She spends a lot of her spare time with her daughter, her husband and her dog, as well as travelling, enjoying rock concerts or the theatre. European Commission education indicators show that while in fields such as life sciences, mathematics or architecture the number of girls is slightly increasing, in computing their presence decreased from 23.9% in 2000 to 18.6% in 2007. Should this trend be a concern for the computing industry? Despite all well-intended efforts of many governments, the education system has not been sufficiently adapted to create an environment which encourages young girls to choose Science and Technology (S&T) professions. From my perspective, this should raise major concerns as the jobs of the future are in many ways ICT-related. There is already today a hunt for talents and if Europe wants to remain competitive we need to exploit the potential of half of our society. How is Microsoft aiming at raising the number of women who are working in its research labs? Could you please provide examples of some of Microsoft’s best practices in this area? Women choosing S&T professions are few. In order to attract them, it is important to create an environment in which they can combine family life with their research activities. Our Lab in Cambridge is proactively offering such a flexible environment and we are marketing this in the academic world. By doing so, we could increase the number of women who work in our labs today. We also organize a yearly competition for the best students in ICT, “Imagine Cup”, which we have often used to attract girls in this field. Furthermore, we spread the Digigirlz program across the world, to give high school girls the opportunity to learn about careers in technology and to get an inside look at what it's like to work at Microsoft. The ICT industry has come up with solutions to make working hours more flexible and improve the work-life balance, such as teleworking solutions. To what extent will the IT sector contribute to breaking through the glass ceiling? The ICT sector is leading the change towards a new way of working. This new environment is especially attractive for women as they can organize their work-life balance in an independent and flexible way. For example, my job involves travelling, meetings, reading and sending mails, videoconferences and phone calls. It is completely up to me how and where I spend my time. As I am having a nearly 6 year old daughter I do work from home quite regularly. In Microsoft we are measured against results and not the hours that I am spending in the office. Do we need regulations to boost the number of women in top leadership positions, particularly in traditionally male-dominant sectors? It is interesting that despite all the evidence proving that diversity is driving innovation and economic values, many Company Boards have not adopted a consequent strategy on how to drive such change. On the contrary, the discussions turn around aspects such as women’s lack of skills, and the difficulty in finding the right candidates etc... Driving diversity is synonymous with a fundamental change in leadership. Therefore, I am inclined to support the need for a regulatory framework. The efficiency of the regulatory framework in Norway proves that gender policies lead to positive results, while the mere “publicly-announced’ commitments do not provide much progress. You have the experience of both the public and the private sector. Which policies do the two sectors prefer to pursue so as to boost women’s access to the leadership positions? My assessment is that there is a fundamental difference in the approaches. Public Sector is driving diversity for political reasons. The objective is to have a better representation of the overall society in the decision-making process, i.e. 50% of women. Members of parliaments are elected by the population, and not chosen by a limited number of people. Against this background, the introduction of quotas is often the appropriate instrument. Companies are driven by economic success. It is difficult to measure the direct impact of diversity on revenue, and to consider it as the only factor for hiring someone in a leadership function. Therefore, when driving a diversity policy, companies set targets looking at the rest of the industry, implementing either self-binding rules or targets to be achieved by individual managers. 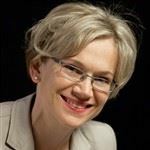 Following her career as a pediatrician and public health researcher in Bulgaria and in the UK, Dr Parvanova started her political career when elected Member of the Bulgarian Parliament in 2001. She became Member of the European Parliament in 2007, where she notably initiated and led a campaign on Patients' Rights in Europe. She is an active Member of the Committee on the Environment, Public Health and Food Safety, and she also seats within the Committee on the Internal Market and Consumer Protection as a substitute member. Dr Parvanova is also a Member of the Committee on Women's Rights and Gender Equality, and coordinator for her political group on these issues. Throughout her professional and political activities, she has been actively involved in the Women's Rights debate, looking most particularly at societal and health related issues, at both national and EU levels. What prompted you to choose a career in life sciences and then in politics? My family, in particular my mother and grandmother supported me in choosing a medical career. As I started to practice and I became aware of the problems in the health system such as disability discrimination, I decided to follow other studies in public health and health policy. This led me to enter national politics as a member of the Bulgarian Parliament where I have been vice president of the committee on health and foreign affairs. Women’s rights and gender equality are among one of your priorities in the European Parliament. What policies would you formulate to encourage women’s advancement in leadership positions? We need to ensure that women are prepared to move up to careers that give them the chance to develop professionally as much as men. Now is the time to encourage women to gain qualifications in the large spectrum of “green” jobs and gain know-how about sectors such as renewable and clean energies or non-polluting technologies. How do we make sure that women have the right role models? Through campaigns disseminating best practices and allowing women with successful careers to speak with girls in their own environment, in schools, in universities, and in the community. Organizations dedicated to the promotion of women should take the responsibility of training women to improve the skills they need to step up in their professions and to learn how to make the best use of their strong points. Would gender quota policies be an answer to the low representation of women in leadership positions? Quota policies come with the risk of exposing women to criticism when the only criteria by which their work should be measured are the quality of their work and the results. I don’t believe quota policies could lead to a gender-balanced representation, however if in the future EU Member States were to come up with two proposals when putting forward their candidates for the position of European Commissioner, one male and one female, this could for example set about how to offer equal opportunities to women and men with the same level of qualification. What are the top 3 recommendations you would give to a young woman at the beginning of her career? I would give the same recommendations that I give to my two daughters. Investing in their education and defending this investment is the most important thing they can do for themselves. A good educational background will help them make choices independently and self-assuredly, in their professional as well as in their social or personal lives. Thaima Samman has been one of the women running the Women in Leadership initiative since its inception in 2008. She had the knowledge and the drive to found an NGO since setting up the French SOS Racisme NGO at the beginning of her career. She has a 10 years of experience in the political cabinet of Claude Bartolone MP and former member of government and in two renowned French law firms. An added experience in the corporate affairs world, first in Philip Morris, then in Microsoft, taught her the importance of building partnerships to advance new ideas and implement them at a societal scale. When faced with the challenges of the society at large – skills gap, leadership talent shortage, gender gap - the idea of creating a platform for women to connect and learn ways to advance in their career came as the natural thing to do. In two years time, more than 100 women across Europe joined the WiL network. Now, it is a large pool of talented leaders who share high quality information and set up professional relationships. But as this platform for partnership grows steadily, it is important to have a structure that allows every member to reach their personal objectives as well. The interview with Thaima takes a more in depth look into WiL’s purpose. Why was WIL needed in the European environment? We need to have more platforms such as WIL where active women meet to exchange on a broad range of ideas and initiatives. Our members are very successful in their work area and feel the need to extend their achievements, which means broadening their network and understanding, get validation and ultimately learn about and support other socio-professional spheres. Which partnerships is WIL depending on? It is important to be in close contact with other professional networks, as it would not make any sense for any women’s network to be exclusive. We are more than happy to collaborate with others to increase the impact of what we are doing and support other’s priorities. I’m thrilled that we are one of the partners of the US based Global WIN association, to have the Women’s Forum as a founding partner or to participate to the Women Equity for Growthinitiative. There are too few networks embracing EU27 jurisdiction as they focus on particular topics or geographies, but we are all pushing forward the message of empowering women and we can find ways to cooperate, as we did before. Then, it would be a pity not to build connections with public institutions that have gender equality concerns in their genes. With their support, we can raise the awareness of the need for talented female leaders in all sectors of work. What can a WIL member take away from this network? In our previous meetings, we have seen partnerships set up between women who met for the first time and who discovered they had similar interests. Being part of a network embracing all EU27 is the biggest take-away. It would be a pity not to take advantage of it. Where do you see the association in the next 2 years? If more highly qualified women are willing to join us, together we can positively influence European society in the coming years. This means offering new opportunities not just for our members, but also for younger women, such as those who are part of our mentoring program or the women who have the potential to take the lead in the next 10 years in the private or public spheres and who will need our strong support. What do you like the mostly about WIL? We have built a place that active women across Europe enjoy, a network that they own and that they can use according to their own social or professional agenda. The meetings are a breath of fresh air twice a year, nonetheless and enjoyable, for those of us who wish to develop their career prospects.